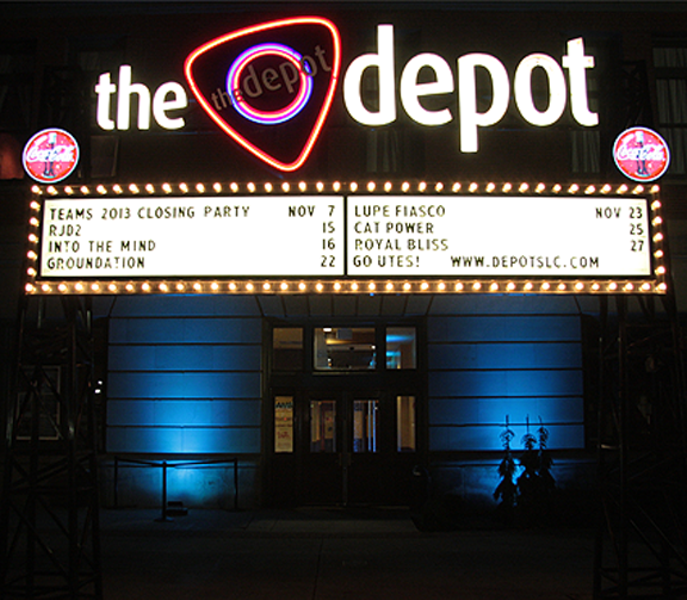 Not so much a club as a first-class concert venue that happens to have a couple of bars, The Depot is Utah’s singular answer to the House of Blues chain. The four-story wonder has hosted everyone from Chris Isaak and Clutch to M.I.A. and the Wu-Tang Clan, and never had an off night for sound and presentation. Some touring rock bands have even been noted as observing, “This place seems a little too nice for us.” Depot patrons are as varied in age and attitude as arena concert-goers; the 1,200-capacity, state-of-the-art club only opens for shows and reserved special events, so there’s really no such thing as a Depot regular.